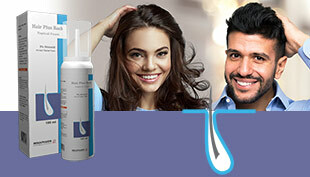 Parafon relieves both pain & spasm, by combining Chlorzoxazone, which is well tolerated centrally, reduces muscle spasm & helps increase mobility, with Paracetamol a non-salicylate analgesic. Ingredient: Chlorzoxazone 250 mg, & Paracetamol 300 mg.
As people age, bone strength and muscle elasticity and tone tend to decrease.. The exact cause of the back pain is often unknown. The pain can come on after lifting things, or overuse, or it may come on without previous exercise or training. However in about 25% of cases, patients suffer from conditions like slipped disc, osteoporosis (brittle bones), deformation of natural spine curvature (scoliosis) or more rarely, skeletal damage due to tumors or infection. Acute low back pain generally lasts from a few days to a few weeks. Most acute back pain is mechanical in nature —the result of trauma to the lower back or a disorder such as arthritis. Pain from trauma may be caused by a sports injury, work around the house or in the garden, or a sudden jolt such as a car accident or other stress on spinal bones and tissues. Symptomsmay range from muscle ache to shooting or stabbing pain, limited flexibility and/or range of motion, or an inability to stand straight. Occasionally, pain felt in one part of the body may “radiate” from a disorder or injury elsewhere in the body. Some acute pain syndromes can become more serious if left untreated. Chronic back pain is measured by duration —pain that persists for more than 3 months is considered chronic. It is often progressive and the cause can be difficult to determine. 2 capsules 3 times daily after meals (unless otherwise prescribed by the physician) This dosage is sufficient to maintain an adequate myotonolytic and analgesic effect throughout the day. 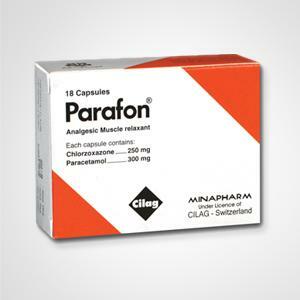 What is the effect of Parafon on the liver? 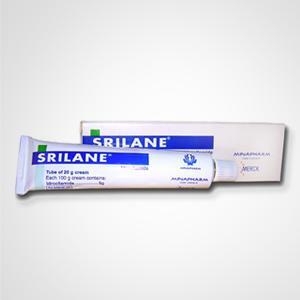 Srilane is the ONLY topical muscle relaxant. It acts directly on the muscle fiber to cause relaxation through blocking the release of intracellular calcium from its storage sites.